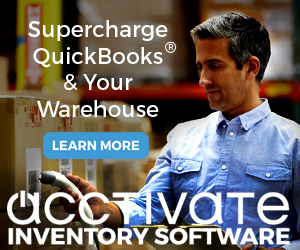 Until now, if you wanted to quickly add a large number of records to a list in QuickBooks, you had to resort to using an Excel import or use a third party import tool. This often would be a tedious chore, requiring that you “map” your Excel spreadsheet to the fields in QuickBooks. 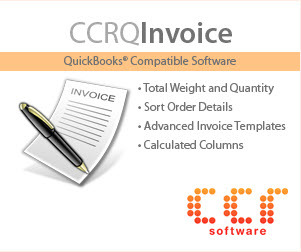 In the 2010 release of QuickBooks Intuit has added a Rapid Data Entry feature that many people will find useful. Select Lists and then Add/Edit Multiple List Entries. 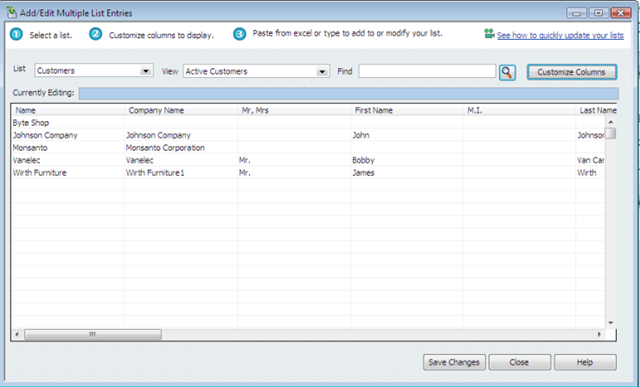 This opens a window that lets you add records to several different lists in a tabular form (similar to a spreadsheet) rather than in an “edit” window. 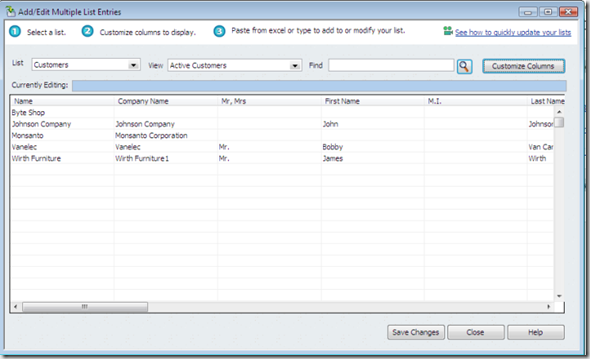 Simply click on the first empty line and start entering information, or click on an existing entry to edit the values. You can use the mouse to go directly to the field you want. You can also click the customize columns button to modify which fields you want to show in the grid, so you can skip over columns that aren’t important to you. Fields that have dropdown lists in the normal edit screens also have dropdowns here, and you can add new choices to the list. Note that custom fields are supported with this method, which is very helpful. In addition to entering information directly you can copy/paste information from an Excel spreadsheet (and, the standard Excel import is still supported if you prefer). All of the data that you have entered is held in memory, and when you are done you click the save changes button. This is a great improvement over Excel imports because it clearly highlights the errors, and lets you correct them right away (rather than saving an “error.csv” file and trying to decipher the problem). You also can choose to display just the records that have errors. I like this feature very much. If you find that you are entering a number of items directly to your item list, or making lots of updated via Excel, this may be a very useful addition for you. It is much easier to use than Excel imports. However, note that it does not cover all features that you can with an Excel import. Also, you may find that you need to perform some kind of data transformation if you are drawing in data from other sources, which is where you will want to use a more sophisticated data import utility. Finally, this only works with lists, not transactions. This feature will not replace the import tools from Baystate Consulting in my toolkit. 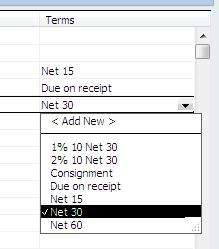 Let’s hope that Intuit continues to build on this feature to add other item types and other lists. This is really an improvement that I will use frequently and recommend to my clients. Thanks for the clear, concise review. 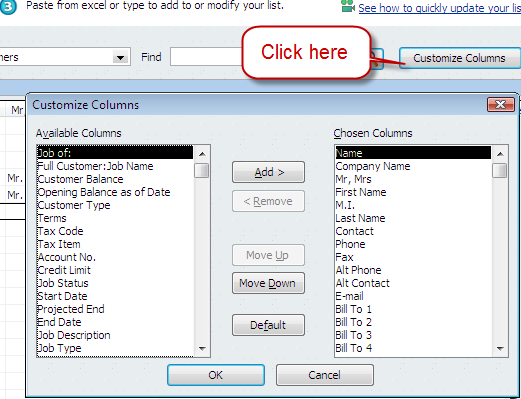 1) Can you fill a column with an account, or customer type, number sequence, or something similar, by dragging (as in excel) or would you have to enter them one at a time. . .paste from excel? 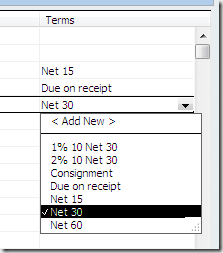 2) Is the vendor Account PreFill field an option in this feature? The prefill fields are not provided in this feature. You can paste multiple values from Excel. 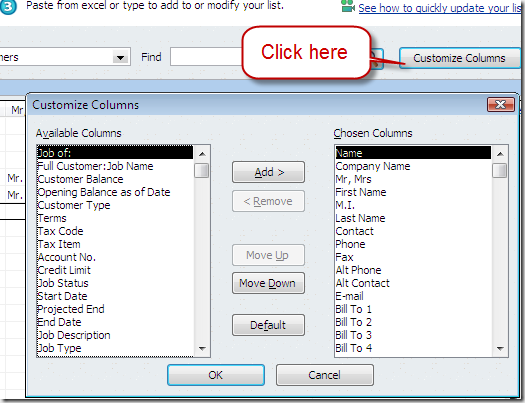 There are features that help with entering duplicate values. If you right click on a line there is a “duplicate row” option, and there is a “copy down” option. The “copy down” feature is what you are probably looking for – you can enter a number of items in the item list, add the income account in the first line, then “copy down” that value to the rest of the lines. Thanks, Charlie – good info. Thanks for all you do! You explain things so well. I was hoping that this new spreadheet feature would let us copy and paste the name field to correct duplicates. It lets you correct the name, but then it won’t let you “merge” in mass. A huge disappointment. This is a big problem in some clients. Especially clients that import credit card data. They may have Wal-mart set up 15 times. Merging is a complicated process on it’s own, mass merging would really be complicated. I really like the multiple list editing feature, I do wish however, I could copy and Paste TO Excel as well as FROM Excel. The scrolling in the list is slow while in the edit mode, and I would also like to be able to use the data in the custom fields sorted by filter to create reports. Perhaps there is a way to export this that I have not yet figured out? Elizabeth, when you are looking at the item list, there should be an Excel button at the bottom. You can export using that. You also have the IIF export in File/Utilities/Export, but you probably wont’ find that as useful. This is an awesome feature. I used it last week. I’m in Canada and apparently this feature is not available in the Canadian version. Which brings me to my question. How did I access this feature and consequently use it last week? Is there some kind of link on this site that I’m missing or is the only way to access this thorough the Lists menu in the program? Would dearly love to be able to use this all the time. Lisa, I’m not clear on whether you are running the Canadian or US version. I don’t have the most current Canadian version so I can’t comment directly on that. In the US version you can access it by selecting “Lists” and then “Add/Edit Multiple List Entries” from that menu. I am running the Canadian version, which according to QB support here in Canada,this feature isn’t available. That’s whats funny about this whole situation.I accessed and used it once, then the option under “lists” just never came up again. Guess it was a one time fluke. Thanks for your reply, I was just hoping that I has missed a step or something. There is a bug in this program for Enterprise users that have items numbering in the thousands. When you use the Copy Down feature, you receive an error message that there is Inadequate Memory to complete this operation. There is no cancel option and your computer becomes locked up in a cycle of error messages. It is necessary to reboot the server when this happens. It is a known bug at QuickBooks, but I spent two hours on the phone with them before they asked the right person who admitted this. Francesca -most likely. I don’t work with the Mac version. It is far behind the Windows version, but they have been working on getting it closer. Some things may never get there, though. Charlie, any possible way to upload inventory assembly with Rapid Data Entry feature with Premier 2011? If not, is it available with any other version or edition? Also, is there a limitation to the quantity of entries that can be added? Thanks! Mark, you cannot upload inventory assembly items with Rapid Data Entry in any year of product. I don’t know of a limit, but if I’m using this I tend to break it up into chunks instead of doing a whole big list at one time. But, I have to say, I rarely use this feature. You can import inventory assembly items using the IIF format (file/utilities/import), but I HIGHLY RECOMMEND that you do NOT use that method. The best solution is to get an import tool like the Transaction Pro Importer from http://www.baystateconsulting.com, which I have reviewed elsewhere in this blog. It is the best import tool around. Thanks for your advice. 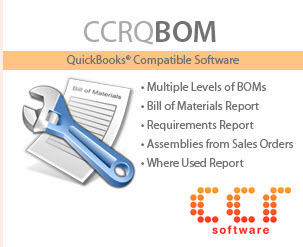 I am new to Quickbooks and find all of your blog information very helpful. me οn thе topic οf thіs Ьlοg, tҺіѕ ƅlⲟց іs tгulу аᴡеѕօmе.